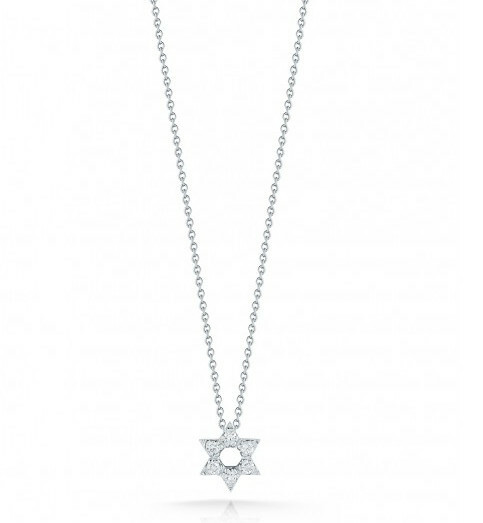 This Star of David necklace is from the Tiny Treasures collection by Roberto Coin. 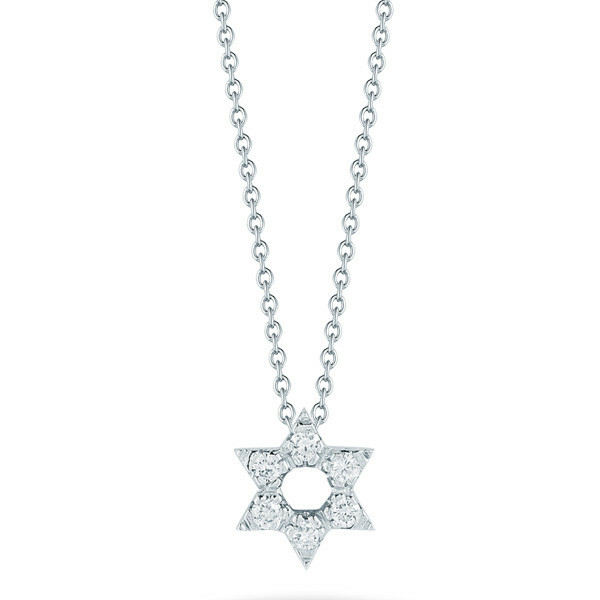 It features sparkling pave diamonds in a brilliant 18kt white gold setting. The charm floats reverently on a white gold link chain that can be adjusted from 16" to 18". 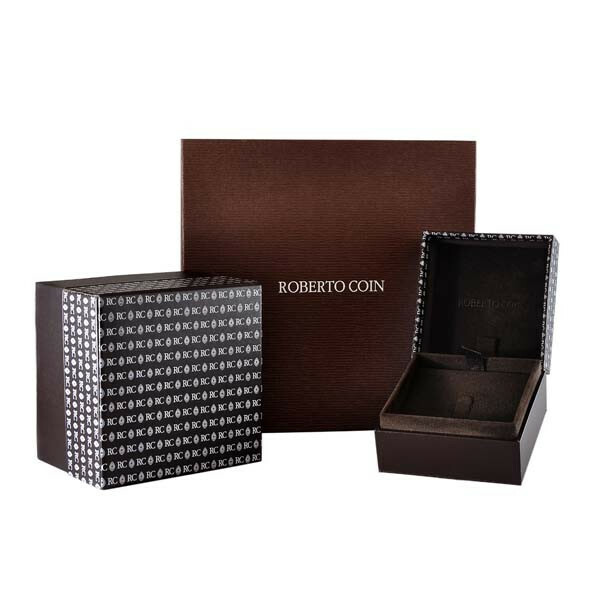 This Roberto Coin piece allows you to display your faith beautifully.